The creativity of my fellow Etsians never fails to amaze me! 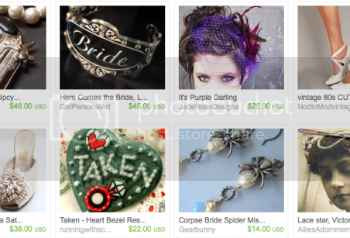 I am honored that a Gearbunny item has been included in a new treasury. Check out “Funky Bride – Rock N Roll Down the Aisle” by prvtcollection. Summer is the season of weddings – why not make yours alternative and one-of-a-kind? As always this treasury won’t last so browse on over today by clicking on the picture.